Update: LendingRobot has launched automated secondary market trading for Fully Automated mode. See details here. For some time, users have requested that we extend our powerful automated investing tools to provide rule-based trading on the secondary note market. We heard you, and LendingRobot has released a robust, yet easy to use, feature that will make the secondary note market more accessible and easier to participate in, all while increasing our clients’ ability to manage their portfolio risk and maximize their performance potential. The feature is immediately available for Lending Club accounts, to be followed by support for accounts on Prosper. Advanced mode secondary market automated trading is enabled once client payment information is entered. 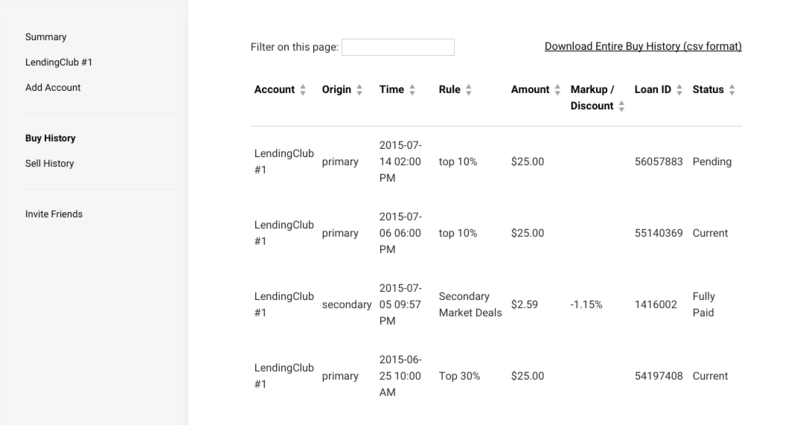 Enable secondary market trading for your Lending Club lending account. If you haven’t already done this, simply log into your Lending Club account, click this link and follow the instructions provided. 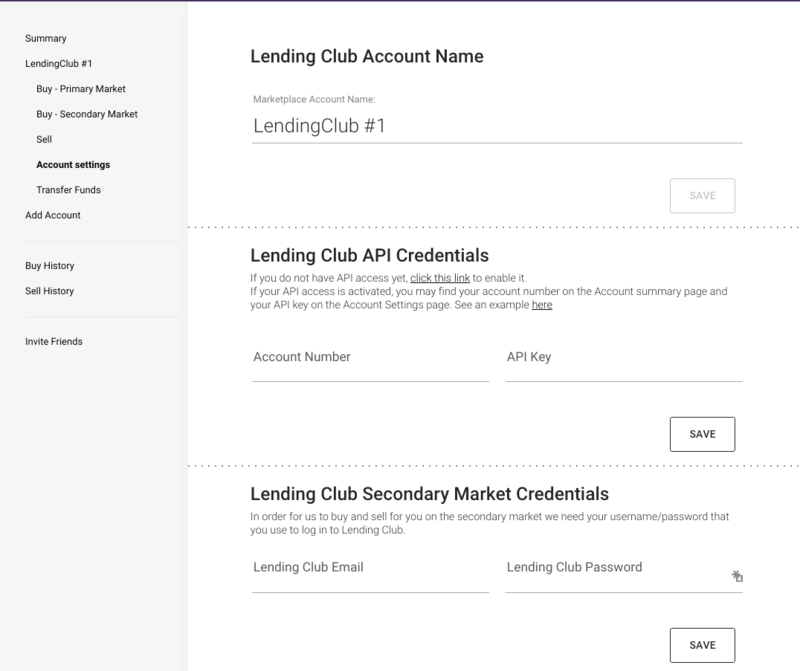 Add your Lending Club credentials to your LendingRobot account by selecting an account, clicking “Account Settings” on the left hand side, and entering your Lending Club user name and password. 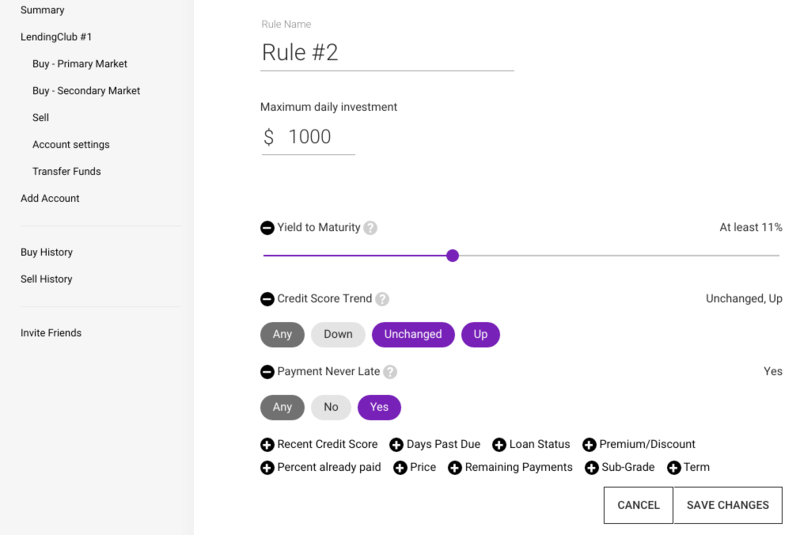 To define rules for buying on the secondary market, select the account you want to set rules for, then click “Buy – Secondary Market” on the left hand side. Once your rules are defined and saved, LendingRobot will continuously monitor the secondary market for notes that match your criteria. Once a note is found, an order will be submitted on your behalf. Note: We are committed to providing equal market access to all of our customers. Since secondary market inventory is limited, we will apply a random ordering of accounts when multiple customers’ rules are met. 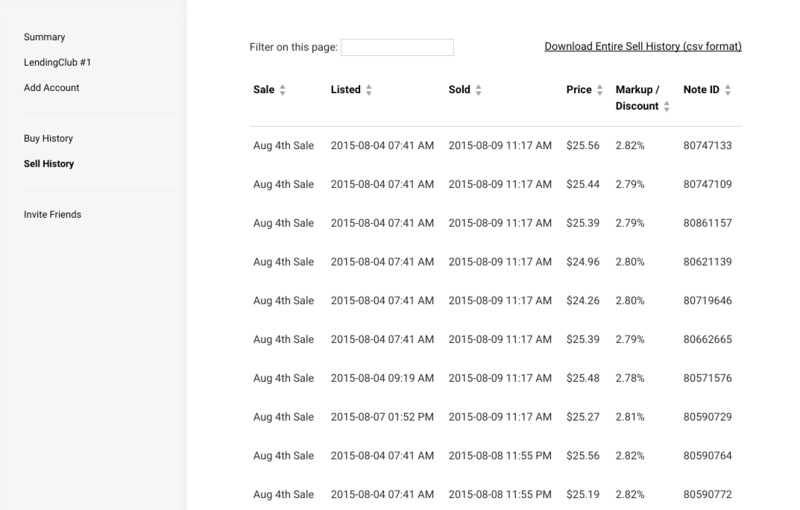 Your secondary market orders will be listed in your Order History on your dashboard. Note: a new “Origin” column has been added to differentiate secondary market orders from primary market orders. To initiate a sale on the secondary market, select the account you want to sell from, then click “Sell” on the left hand side. 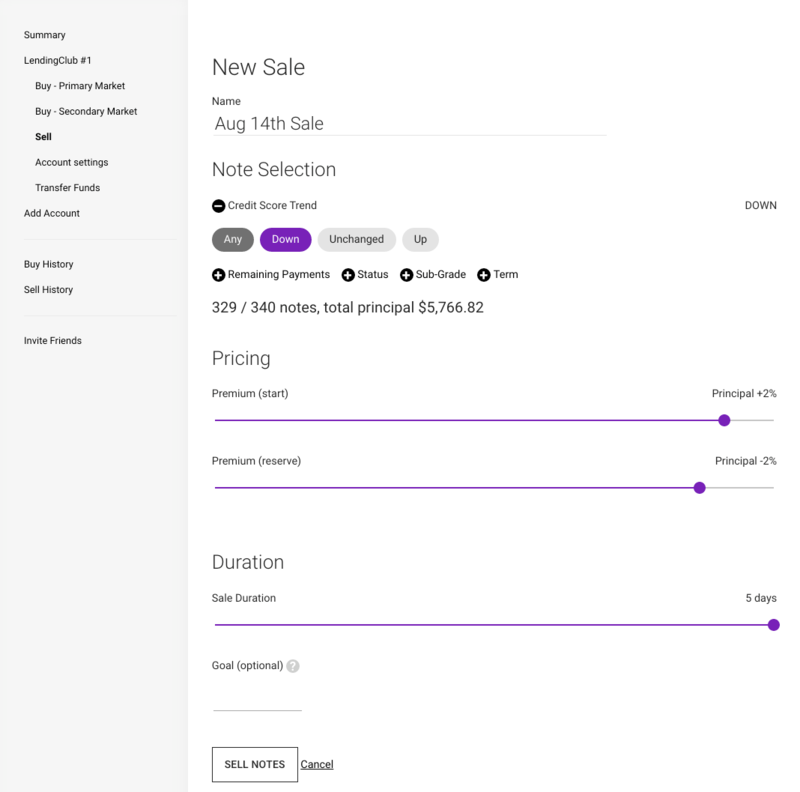 Note: The pricing for every note your rule lists will be dynamic, running an automated “Dutch auction”, starting with the highest end of the pricing range, and lowering it throughout the sale’s duration until the sale ends or the note is sold. The speed at which the price will be lowered is determined by the duration of the sale. Your selling history will be added to your dashboard. For each note sold you will see details, including the markup or discount at which the note was sold. What is the value of a Portfolio? © 2017 LendingRobot. All Rights Reserved.